Banks in Nigeria – Nigeria had overtime grown into a business and finance hub, to compliment this is a network of Banks necessary in availing ease of doing businesses which promotes the economic prosperity of any enterprising nation. Banks in Nigeria in modern times have become a means by which the government, private sectors and business owners pay workers’ salaries, which in turn encourages financial inclusion. I can go on to mention unending lists and roles Banks in Nigeria play which forms the basis of the Nigerian economy. ACCESS BANK PLC: This is a Nigerian multinational Commercial Bank, being owned by Access Bank group. The Bank is licensed by the Central Bank of Nigeria. Founded in 1989 and is being quoted on the Nigerian Stock Exchange. Products: These are the business solutions they offer: Loans, Credit Cards, Savings, Investments and Mortgages. Access Bank is presently one of the five largest banks in Nigeria in terms of assets, loans, deposits and branch network. CITIBANK NIGERIA LTD: Citibank is a consumer division of financial services multinational Citigroup. Citibank was founded in 1812 as the City Bank of New York, and later became First National City Bank of New York. Headquarters: New York City, New York. Nigeria Head office: Charles S. Sankey House 27, Kofo Abayomi Street, Victoria Island, Lagos. DIAMOND BANK PLC: Diamond Bank is a Nigerian multinational financial services. However, Diamond Bank has been acquired by Access Bank Plc in December 2018 and announced to complete the transaction of the merger in the first half of 2019. Headquarters: Victoria Island Lagos, Nigeria. ECOBANK NIGERIA PLC: This is a commercial Bank in Nigeria which renders financial services. Ecobank was founded in 1986, with its Headquarters in Lagos, Nigeria. Products: Loans, savings, investment, debit and credit cards, mortgages. FIRST BANK OF NIGERIA LTD: This is Nigerian multinational bank and financial services company headquartered in Lagos. It’s the biggest bank in Nigeria by total deposits and gross earnings, First bank Nigeria limited was founded in 1894 as Bank of British West Africa, renamed First Bank of Nigeria in 1979. FBN has earned itself undoubtable track record among Banks in Nigeria. Headquarters: 35 Marina, Lagos, Lagos State, Nigeria. FIRST CITY MONUMENT BANK PLC (FCMB): This is a full service banking group, with the vision to be premier financial services group of African origin. The bank was founded in April 1982. Headquarters: Lagos, Island, Lagos Nigeria. FIDELITY BANK PLC: This is one of the commercial Banks in Nigeria, licensed with international authorization by the Central Bank of Nigeria (CBN). Fidelity Bank was founded in 1988. GUARANTEE TRUST BANK PLC (GTB):This is a Nigerian multinational financial institution which offers online/internet Banking, investment Banking, Retail Banking, Corporate Banking and Asset management services. Founded in January 1990. Headquarters: 635 Akin Adesola Street, Victoria Island, Lagos, Nigeria. JAIZ BANK: This is a bank in Nigeria operating under Islamic Banking principles and is a non-interest bank. This is the first non-interest bank established in Nigeria. KEYSTONE BANK LTD: This as well is one of the Commercial Banks in Nigeria, founded in 2011. POLARIS BANK LTD (SKYE BANK): This is a commercial Bank based in Nigeria, as it stands, Polaris Bank Limited is a bridge Bank that came into being as Central Bank of Nigeria withdrew the defunct Skye Bank license in September 24, 2018, following misappropriation of funds and reserve inadequacy. Headquarters: 3 Akin Adesola Street, Victoria Island Lagos, Nigeria. STERLING BANK PLC: This is a full service national Commercial Bank, with its shares trading under the Banking sector of the Nigerian Stock Exchange, founded in 1960. Headquarters: Sterling Towers, 20 Marina, P.M.B. 12735, Lagos, Nigeria. SUNTRUST BANK BIGERIA LTD: This is a Nigerian financial service provider, ranking among Banks in Nigeria, founded in August 2016. Headquarters: 1 Oladele Olashore Street, Off Sanusi Fafunwa Street, Victoria Island, Lagos, Nigeria. STANBIC IBTC BANK PLC: This is a financial service holding company in Nigeria, with subsidiaries in banking, stock brokerage, investment advisory, Pension and trustee businesses. Headquarters: IBTC Place, Walter Carrington Crescent, Victoria Island, Lagos, State, Nigeria. Call: 0700 2255 782 6242, +234 1 4227777. UNITY BANK PLC: This is one of the Commercial Banks in Nigeria. Call: +234 (0) 7080 666 000. UNITED BANK FOR AFRICA (UBA): This is a leading pan-African financial services group. UBA is one of the Africa’s best and most resilient banking Groups with operations in 20 African countries and offices in their global financial centers: London, Paris and New York. Headquarter: UBA House, 57 Marina, P.O Box 2406, Lagos, Nigeria. UNION BANK OF NIGERIA PLC: You do not mention Banks in Nigeria without Union Bank, it may not be commanding businesses like its counterparts, however had made an indelible mark the in Nigerian Banking system. Headquarters: 36 Marina, Lagos, Nigeria. Call: +234 (0) 700 700 7000, +234 (1) 271 6816. WEMA BANK PLC: This is one of the Commercial Banks in Nigeria, founded in 1945. Headquarters: 54 Marina Lagos State, Nigeria. ZENITH BANK PLC: A multinational financial service provider, founded in May 1990. Headquarters: Zenith Heights, Plot 84, Ajose Adeogun Street, Victoria Island, Lagos, Nigeria. Call: 01 278 700, 01-2787000, 2927000, 4647000. 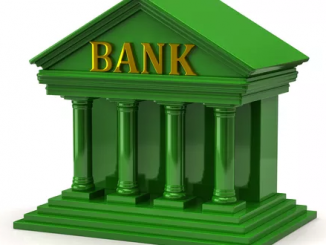 List of Commercial Banks in Nigeria in 2019: A Commercial Bank is a Bank that provides such services as accepting deposits, granting business loans and offering basic investment products that are operated as a business for profit. List of Merchant Banks in Nigeria: A commercial Bank is a Bank dealing in Commercial loans and investment. They deal with international finance, business loans for companies and underwriting, a merchant bank may perform same services as investment bank, however does not provide regular banking services to the public. List of tier 2 Banks in Nigeria; Banks are usually grouped according to financial strength from a regulator’s point of view, in Nigeria it’s dependent on the Central Bank point of view. However, we have tier one and tier two Banks, tier 2 cannot be discussed without throwing light on tier 1. Tier 1: This is the core measure of Bank’s financial strength from a regulator’s point of view. It is composed of core capital, which consists primarily of common stock and disclosed reserves or retained earnings, however, may also include non-redeemable non-cumulative preferred stock. Tier 2: This is the secondary component of bank capital in addition to tier 1 that makes up the bank’s required reserves. Tier 1 and 2 banks are however explained according to the above. UBA. They are categorized by their balance sheet size. Apart from the above 5 banks, any other Commercial Bank in Nigeria mentioned above is a Tier 2 Bank. At this point you’re at least acquainted with the list of Banks in Nigeria, their headquarters, CEO’s and websites. Nigerian Banks remain strong and suitable for business despite unfavorable government policies in recent times. Let’s see if there’s anything we can help you with, use the comment box.